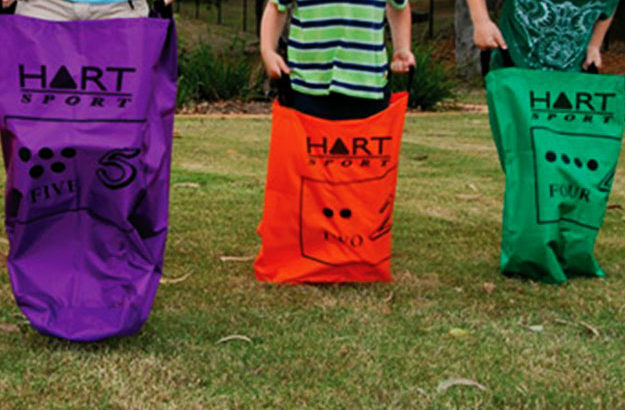 Hop along for race day in these coloured sacks. Comes with handles for littler ones in nylon sacks, or in durable hessian sacks for adults. Pair with our Jumbo Egg and Spoon races for a mini sports day!